Hello! I've been digging into my latest package from Dance Legend and man am I ever in love! The first ones I went for are the 6 Top Coat Aquarelles I received. There are 12 shades in this collection and I can't wait to add the rest! As you can imagine, because they are named top coats, these are transparent in nature and build up very nicely. They look amazing over white as I am showing here. They are super easy to work with and have a great non sticky formula. From Thumb to Pinky: Dance Legend Aquarelle - No 11 Levitan, No 1 Matisse, No 5 Sisley, No 3 Chagall, No 9 Gauguin and No 7 Dali for the center dots. This was really easy to create. 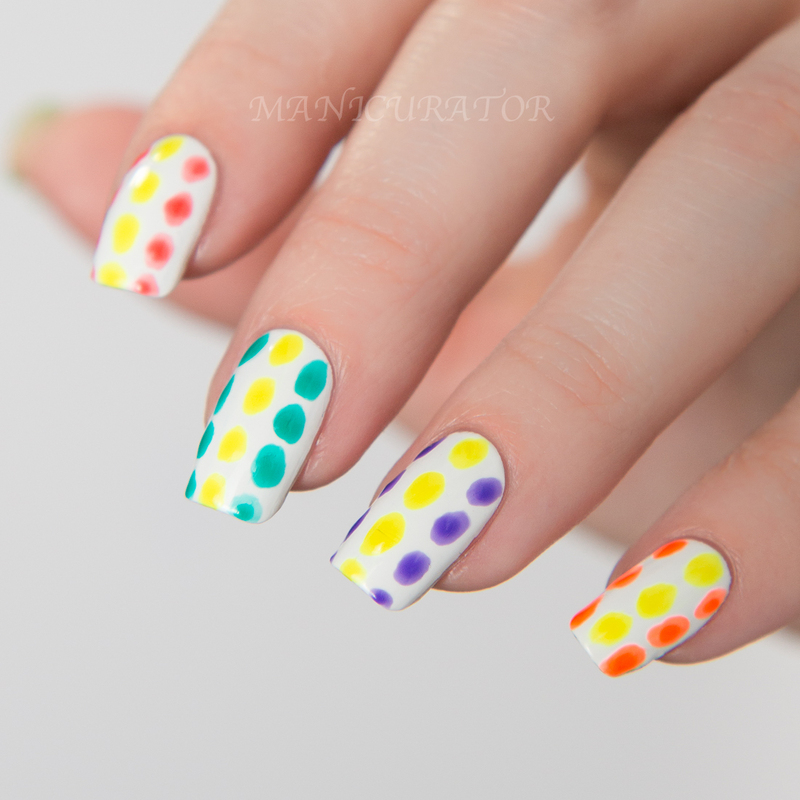 After my white base dried I used a smaller nail art brush to just paint on the oval dots. I knew I wanted a more artistic feel, rather than perfect circles so it took the pressure off and was fun to make. After the first set of dots dried down I just went over the very center of the dots with another coat because I wanted to show how the color builds up. That was even more apparent in person. These looked cool and were fun to wear! What do you think? 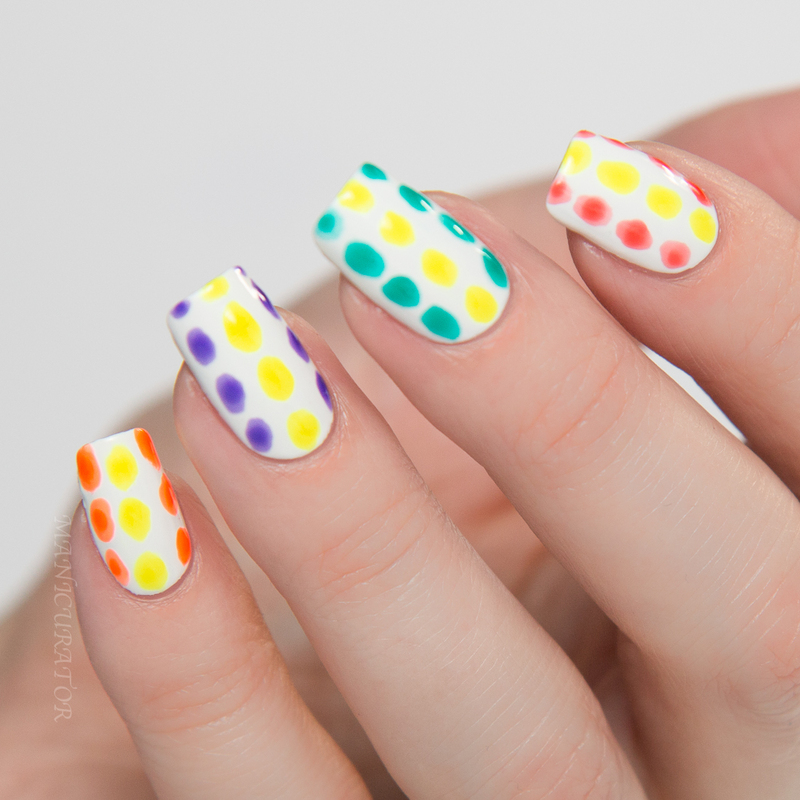 Super easy to create this look, and I love that the dots don't have to be perfect circles. How would you use these? These polishes are so fun! They are kind of like the nail polish highlighters :) I can imagine you can create so many different looks. Maybe dry marbling would be cool? 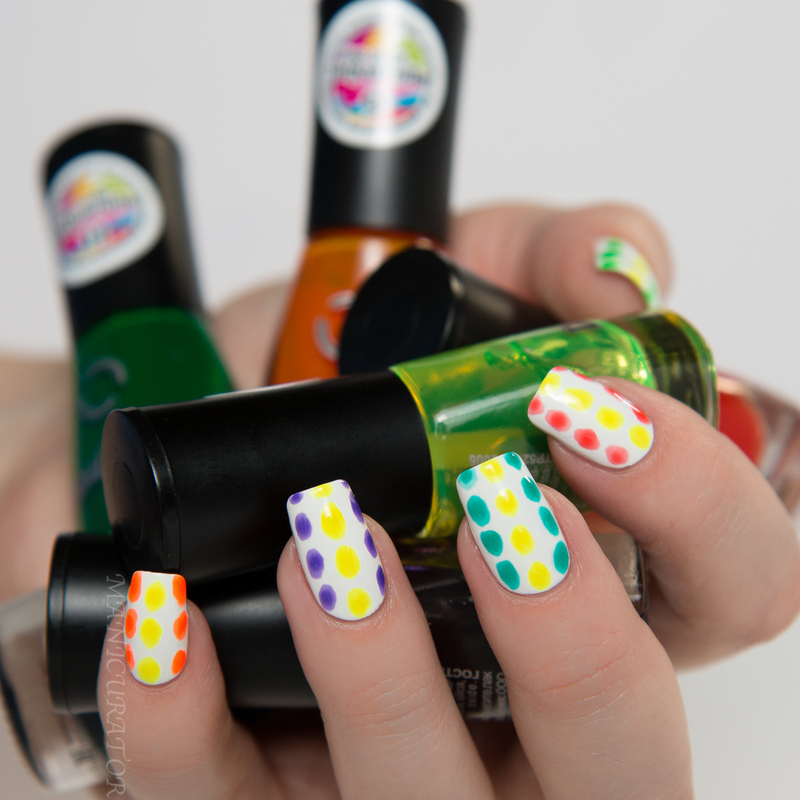 I really like these abstract dots you made, the colors work so well together. These are kind of blowing my mind. They look crazy amazing in the bottle. My eyes were just transfixed! I love these polishes so much! I wish I had more than just two! I am planning on using them for a leadlight mani or maybe a pond manicure?! I love your nail art too! 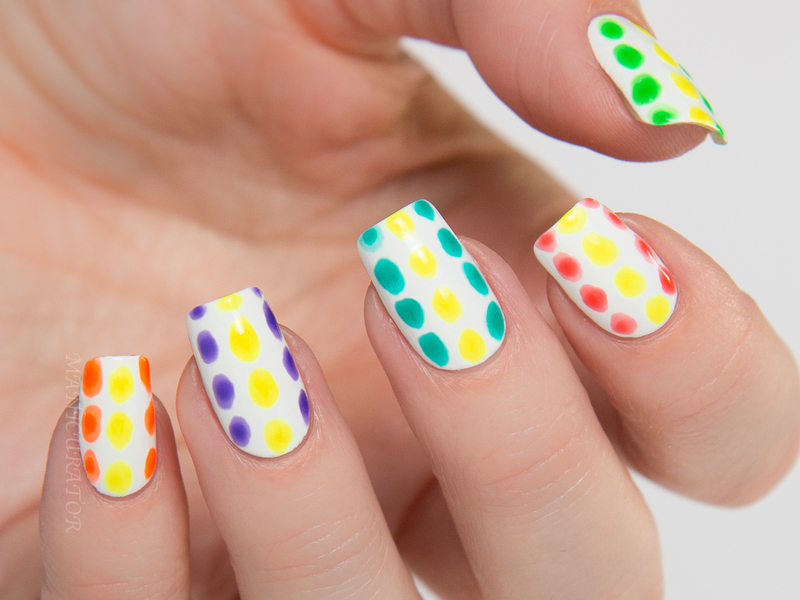 Oh that's a fun idea, to do dots with them. I like how you made them darker in the center! 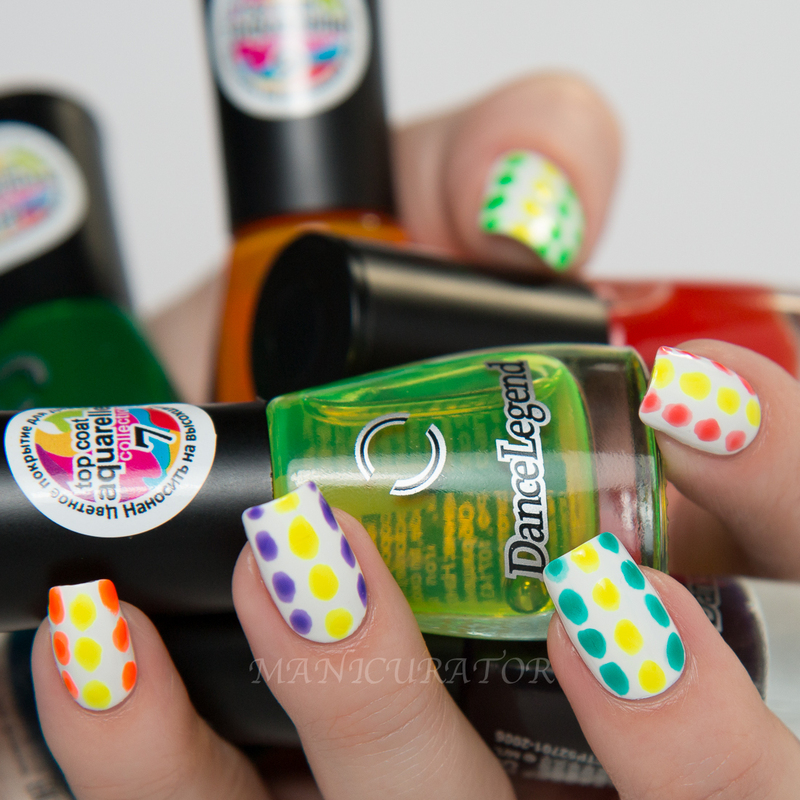 This is such a cool mani! I really want to get those Aquarelle polishes to play with, I've been eying them for awhile now! They are so fun! So pigmented! They would be perfect for it! Yep No. 5 is the teal! They have a glossy finish, and thin, easy to work with and lots of pigment. Mine weren't thick or sticky at all! You're very welcome! Hi Victoria, I've been enjoying the sheer shades trend on other ladies' nails, but have decided they're not for me. Ugh! I mean, at some point, I have to say, "Stop the spending!!" ;) Thanks for the review!